Stock # 8JF242288, Turbocharged Diesel V8 6.6L/403, Automatic, 18476 mi. CARFAX 1-Owner, LOW MILES - 18,476! 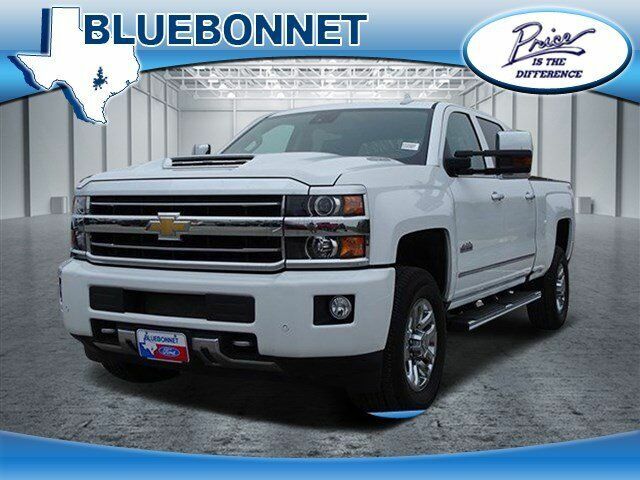 Navigation, Heated/Cooled Leather Seats, Bed Liner, Back-Up Camera, Chrome Wheels, 4x4, Turbo Charged, Trailer Hitch, TRANSMISSION, ALLISON 1000 6-SPEED AU... LPO, ALL-WEATHER FLOOR LINER AND MORE! Leather Seats, 4x4, Heated Driver Seat, Cooled Driver Seat, Back-Up Camera, Running Boards, Premium Sound System, Satellite Radio, Onboard Communications System, Trailer Hitch, Chrome Wheels, Remote Engine Start, Dual Zone A/C, WiFi Hotspot, Heated Seats. Keyless Entry, Privacy Glass, Steering Wheel Controls, Heated Mirrors, Electronic Stability Control. LPO, ALL-WEATHER FLOOR LINER, AUDIO SYSTEM, CHEVROLET MYLINK RADIO WITH NAVIGATION AND 8" DIAGONAL COLOR TOUCH-SCREEN, AM/FM STEREO with seek-and-scan and digital clock, includes Bluetooth streaming audio for music and select phones; USB ports; auxiliary jack; voice-activated technology for radio and phone; and Shop with the ability to browse, select and install apps to your vehicle. Apps include Pandora, iHeartRadio, The Weather Channel and more. (STD), TRANSMISSION, ALLISON 1000 6-SPEED AUTOMATIC, ELECTRONICALLY CONTROLLED with overdrive, electronic engine grade braking and tow/haul mode, ENGINE, DURAMAX 6.6L TURBO-DIESEL V8, B20-DIESEL COMPATIBLE (445 hp [332 kW] @ 2800 rpm, 910 lb-ft of torque [1220 Nm] @ 1600 rpm) Includes capped fuel fill, (K40) exhaust brake and (K05) engine block heater.). Chevrolet High Country with SUMMIT WHITE exterior and LEATHER interior features a 8 Cylinder Engine with 445 HP at 2800 RPM*. "If you're looking for big pulling power in a full-size heavy-duty truck featuring somewhat reserved styling and a strong history of durability, the 2018 Chevrolet Silverado 2500 HD and 3500 HD trucks are sure to please." -KBB.com.